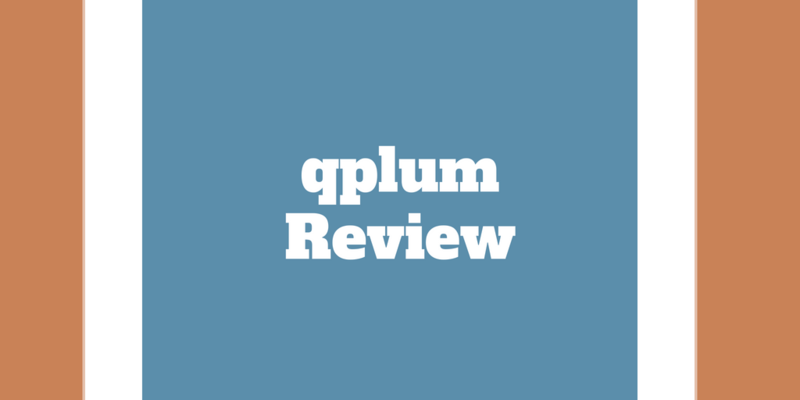 Home › Investing › QPlum Review – Wealth Management Powered By A.I. QPlum Review – Wealth Management Powered By A.I. Sitting in front of a computer all day managing your nest-egg isn’t fun for most investors, which is why robo-advisors have become so popular in recent years. When you hand over your savings to a digital money manager, the investing experience is placed on auto-pilot. But what if you want to speak with an advisor? Elsewhere you may be limited to a few complimentary planning sessions and then be charged fees to maintain access to real people. However at qplum, you get the best of both worlds: automated investment management plus human advice. And like the big-name robo-advisors, the frills of tax-loss harvesting, automated trading, and wealth management tools are provided at no extra cost. But before switching, let’s see what else you need to consider in this qplum review. How Does qplum Invest Your Money? Can You Trust Your Money To Artificial Intelligence? qplum is an online investment advisory firm that combines machine learning and artificial intelligence-based portfolios with human advice. When qplum co-founders, Mansi Singhal and Gaurav Chakravorty, began in 2015, they had a vision to approach investing as a science, not a game. qplum portfolios are built with a focus on risk-management, smart execution, and tax-loss harvesting. Portfolios are driven by artificial intelligence. And high frequency trading techniques are used to save you money. Perhaps most importantly, qplum doesn’t shy away from the human element that so many investors still want. Every customer receives personalized advice and enjoys 1-to-1 walk through sessions with a financial advisor. Before the Great Recession, the only ways to get professional investing advice were to pay a financial advisor a hefty fee on assets managed, north of 1% typically, or be an accredited investor and pay a hedge fund 2% of assets plus 20% of profits annually. Those hefty fees combined with shoddy performance returns led to technological innovations when Betterment, Wealthfront, and Personal Capital came on the scene. The wave of new robo-advisors led to lower management fees across the board. All of a sudden, you could invest your money for as little as 0.25% annually versus 1.00%+ via a traditional financial advisor. But management fees alone don’t reveal the whole story. When you pay the lowest rates, you generally receive the most basic service level: digital money management only. If you want a financial advisor dedicated to you, Personal Capital will charge you over 3x that basic fee rate. So where can you find reasonable rates plus human advice? Aside: Don’t let the lower returns from the Fairway portfolio fool you into thinking it’s a bad investment opportunity. The Fairway portfolio seeks income and stable returns more so than upside growth. So, if you are nearer retirement or simply seeking an income stream, it may be better suited than the higher growth portfolios, like Sunflower. qplum makes the bold prediction that, over the next decade, investors will become as comfortable with artificial intelligence investing strategies as they currently are trusting mapping technology. By way of example, qplum cites a portfolio manager who refused to trust a human for directions when visiting New York for the first time but instead put his faith in Google Maps. As qplum explains, 10x more artificial intelligence is used in Google Maps technology than A.I.-based investing technology currently yet people are willing to trust it more because they are more familiar with it. As time goes by and artificial intelligence investing becomes more widespread, it won’t be surprising to see it adopted by ever more investors. ✅ Management Fees: Annual fees are right in line with the costs of other leading robo-advisors for the level of service provided. ❌ New Entrant: qplum is a new entrant in the robo-advisor space so time will tell how well portfolios do during downturns. ✅ Human Advice: 1-to-1 financial planning sessions are provided to all clients. ❌ Customized Naming Convention: We see the logic behind qplum giving its portfolios custom names but believe it confuses newbies more so than standard names, like high growth. ✅ Smart HFT Execution: To save on costs, qplum uses high frequency trading techniques to place orders. ✅ Tax-loss Harvesting: Efficient matching algorithms are used to lower your tax liability. ✅ Wealth Management Tools: Provide insights to compare your portfolio with the market and much more. ✅ Automated Risk Management: Seeks to protect you from market downturns and pounce on opportunities when prices move higher. ✅ Account Types: Standard taxable, Roth IRA, SEP IRA and traditional IRA accounts are offered. ✅ Customer Support: Available by phone, email, or chat. qplum is one of a growing list of digital money managers offering a compelling value proposition: automated money management plus human advice at low cost. With much less money in its coffers than its rivals it seems, qplum has admirably built an advanced investment platform powered by machine learning and artificial intelligence. Like its peers, it provides all the bells and whistles you might expect, including tax-loss harvesting, automated investment management, automated trading, and wealth management tools. Dynamic asset allocation means your portfolio’s composition changes as market conditions change. After all, why should your portfolio be a static mix when conditions change? It makes little sense to keep a portfolio of say 60% stocks 40% bonds at all times when the reality is a heavier weighting towards different asset classes produces a more optimal mix in different economic and market environments. qplum leads the way in pioneering this innovation among robo-advisors. Arguably, qplum has delivered on the promise of AI investing already by producing handsome returns since inception, but whether it will continue to do so remains to be seen. The bottom line is if you want automated investment management and the comfort of knowing you can connect with a real human when you wish, qplum has much to offer.